This fire control group has been modified to fit any Vepr rifle but especially the 762x54R and the 308 (the hammer has been modified to fit these rifles). This trigger kit will vastly reduce your trigger pull and improve trigger performance. 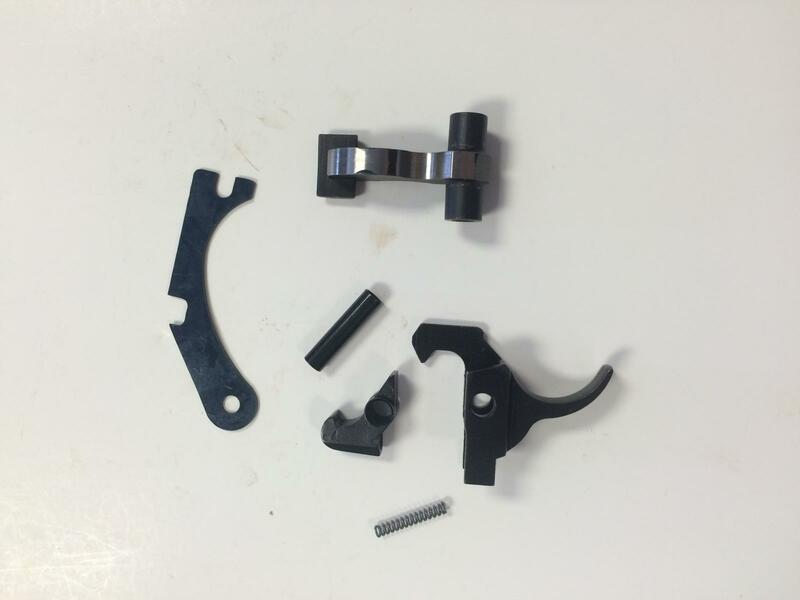 We have plenty of this hard to find trigger conversion kit in stock so don't hesitate! This weblink attempts to send me to your facebook page (and then I receive an 'error'). Is this intentional? Seems to me that you'd want to send us to your CSS company website from where we could order the item. Try this one, hope it works! Sorry for the confusion! Also, a picture of the kit, showing all parts that will come with your order! That weblink worked terrifically. Thanks!